The Wooden Garden Bridge is built of burnt Fir wood imported from Northern Europe that’s known for its high strength and dimensional stability, with an extra thick 3-ply solid timber bottom to add extra support to the Bridge. 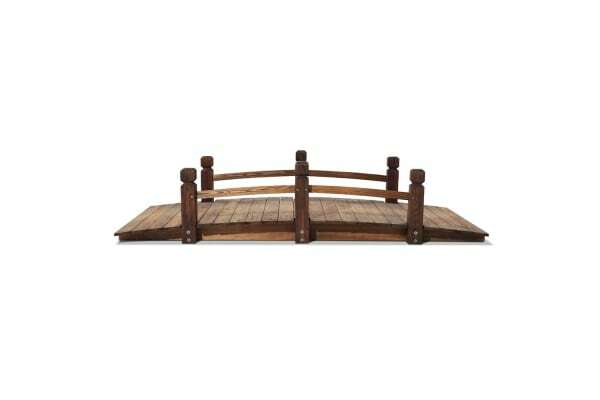 The classic arch design Wooden Bridge can take up to 160kg in weight, so no worries about crossing it multiple times. 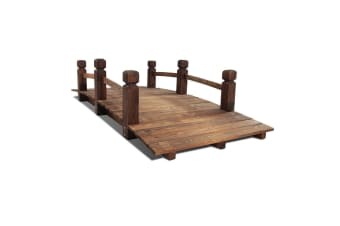 Along the edges, sculpted side railings provide both aesthetic and functional appeal to the Wooden Bridge. The entire assembly is weatherproof and eco-friendly and resistant to rot and pests for many years of assured beauty and use. 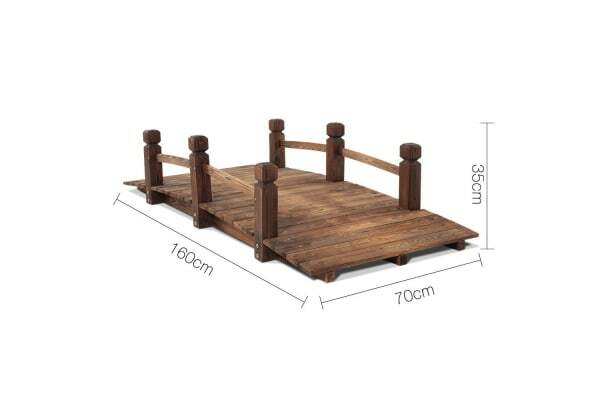 So enhance your garden landscape with our Wooden Garden Bridge today and cross over to the rustic side.